The answer is their mobility. Some of them are just naturally born with it, but most of them have discovered the secret to unlocking their hidden flexibility. And I know it frustrates you to see that other goalie who is soft around the middle and not nearly as quick as you win game after game because he has that flat butterfly flare — he looks like Gumby out there. Do you have a specific strategic program that you follow (not one you made up yourself)? Do you follow that program at least 5 days per week? Do you perform self-myofascial release on the usual areas, but also target the TFL, Iliacus and Glute origin? Are you stretching in movement patterns, rather than just stretching muscles in isolation? Are you generating isometric tension in those lengthened positions? Are you incorporating elements of Postural Restoration or ELDOA (if you don’t know what they are, then the answer is probably “No”)? Does your Mobility program include flows? Does your Mobility program feel more like a workout than just ‘stretching’? Please don’t feel bad if your answer was “No” to every single one of these. You aren’t alone. Even most of the Pro goalies are in that boat when I first meet them; it is one of the first things we change. Robbie was actually quite flexible naturally. Because he was so rubbery, he would use his flexibility as a crutch. Instead of positioning himself properly he would shoot his leg out or kick right out into the splits for save after save. One time I counted 11 split saves (or attempted split saves) in one game. It was exciting to watch for the crowd – the would cheer each time he made a highlight reel save… his goalie coach wasn’t cheering and neither was I. You see, Robbie also spent more than 25% of his season nursing for hips or a sore groin or a tweaked hamstring. He would have to ‘take it easy’ for practices and even miss some games at tournaments because he couldn’t trust his hips. Those missed opportunities add up and other teams start noticing that he seemed to be ‘injured’ a lot. He was a guy who was often the last cut because the coaches valued durability over those exciting split saves. Especially as he moved up from one level to the next where the coaches better understood that a boring goalie is a more consistent goalie. They started to understand that a goalie who looked like he was constantly getting hit right in the middle of the chest by the puck was the goalie they wanted. And even though Robbie could sort of get away with it now, I wondered how long he would be able to abuse his hips, knees and ankles by relying on flexibility that he had no control over. Would the extra wear and tear of smashing into his joint end range catch up with him when he was 22, 23 or 24… right when he was getting the biggest opportunities of his career? That wasn’t worth the risk, so we set out a plan that would teach him to use his flexibility as a tool, with control and precision. A plan that would develop the right stabilizing muscles to help absorb shock to the joints. Robbie was diligent with the progressive training program as he built from one phase to the next. He also spent more time listening to his goalie coach and practicing his positioning so he didn’t NEED as much mobility because he was getting square to the puck. He had spent years practicing those desperation strategies, that they were his habit and it took time and patience to replace those inefficient patterns with more effective ones. In the end he played a full season without missing a game or practice. He got the opportunity he had missed out on the last two seasons and finally stepped up one level and hopefully we will find out this season that he is off to start his career as an NCAA goalie for the next step. I try not to over complicate things, I want to boil it down to the simplest steps and make it easy for you to understand why you are doing what you are doing on the surface and then I want to show you exactly how to do it. My goal is to make it look very simple for you. But what you are seeing is the proverbial tip of the iceberg. Yes, even ‘stretching’ is unbelievably complicated from a biomechanics, musculoskeletal and neural physiology perspective. MOBILITY FACT: Did you know that you get adhesions between your muscle and the outer layer of your muscle (called fascia) and without taking the time to breakdown those adhesions you can stretch all you want and you still won’t see improvements.Some of you have already experienced that haven’t you? It is one of the most common complaints I get. That’s why you need to take the time to get in there and restore your tissue. You need a strategic approach to target the muscles that goalies need with all of your lateral movements. Working on the same muscles a skater or sprinter does won’t maximize your benefit. And if you think Foam Rolling is all you need, then I have good news for you, we can do much better than that! MOBILITY FACT: Did you realize that for most of you it is your brain that limits your mobility and not the actual length of your muscle? How many of you use specific strategies to re-train your brain at the same time you are doing your stretching? Because if you are missing that rewiring element from the muscle to the brain you will NEVER maximize your mobility and it is something that is so simple to do, it is literally like putting the key in the door and unlocking flexibility. MOBILITY FACT: Goalies who stretch to improve their flexibility are increasing their risk of painful and frustrating groin strains, lower ab strains, sports hernias and even back pain. Without strength at length, you have no resilience in those end range positions and THIS is where injuries happen. Not to make light of it, but usually what happens more often than not the other team pops the puck in the net overtop of your sprawled body. That’s what is called adding insult to injury – – literally. Yoga does a pretty good job of this, it has you hold and control your body in some end range length which helps build tolerance. But it doesn’t get you into the specific positions, nor generate the type or magnitude of force that you need as a goalie. Don’t get me wrong, I like yoga, it is a great start, it just isn’t your BEST option as a goalie. This of this program as yoga on steroids. Use specific techniques on specific muscles to breakdown adhesions, help remodel scar tissue from past injuries or overuse and improve the overall quality of your muscle tissue. 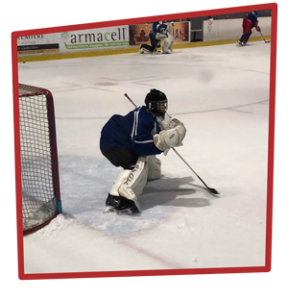 You need to retrain your body and brain to generate tension in lengthened patterns and along specific chains of muscles that reflect functional movement patterns that are specific to a goalie. This is a key element because so much of your current stretching targets the muscles in a front to back way which doesn’t address the side-to-side mobility you need to succeed on the ice. The final piece of the puzzle is teaching your brain that you can tolerate high loads and quick movements in those vulnerable positions. This not only protects you from injury and reduces your risk (unfortunately you cannot eliminate all risk), it lets you recover from those awkward positions quicker so you are ready to move for the next save rather than swimming around your crease looking like a turtle flipped on its shell. Like I said, the techniques are pretty simple, but the strategy behind effective program design is complicated. Our bodies are amazing machines and they don’t even come with an owner’s manual. If you thought that was complicated, I didn’t even tell you about the muscle spindles and the golgi tendon receptors and Pacini corpuscles that help your brain and muscles communicate and decide how much tension is too much and when your brain needs to slam on the brakes. 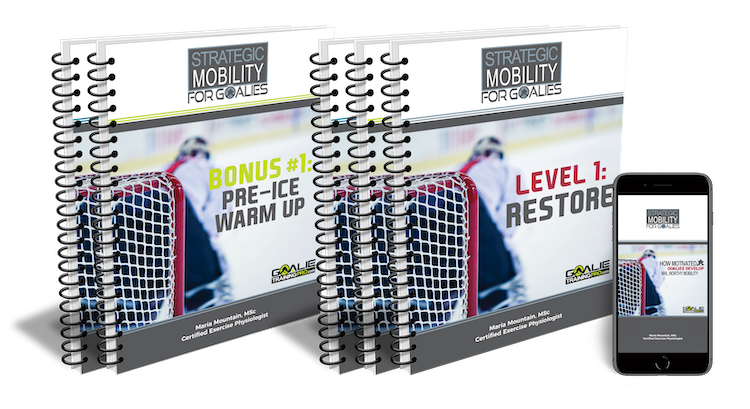 You need all three pillars to maximize your mobility on the ice. You know as well as I do that you are better than your stats show, you just aren’t as flexible as you need to be. YET! 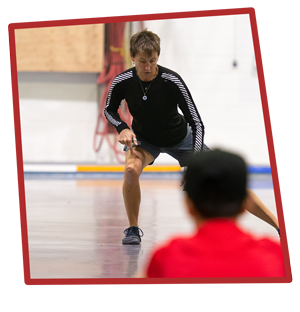 It is your step-by-step blueprint to more wins on the ice (and more flexible and durable hips, knees and ankles). I have set it up to walk you through these 3 Pillars in a strategic (thus the name) and scientific fashion so you are doing the right mobility training in the right order. I have included all of the cutting edge techniques that I use with pro and elite goalies. This isn’t your usual “stretching program”, in fact as you progress through the 3 Pillars, you will be surprised by how different this program is from anything you have done before. It actually feels more like a recovery workout as you go. 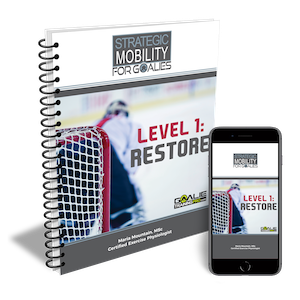 You get access to Level 1: RESTORE including your Strategic Mobility manual including a summary of the science behind the strategy, your quick reference training log and checklists complete with videos of EACH and EVERY exercise. These videos are not publicly available on YouTube. 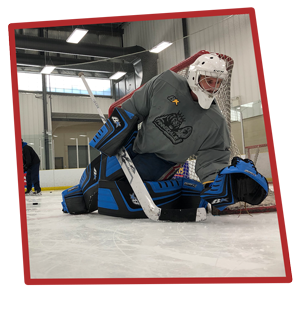 You will get access to the Level 2: REWIRE program manual PLUS a special FREE BONUS ($37 value) the comprehensive “Pro Goalie Pre-Skate Warm-Up” walking you through the exact off-ice warm-up successful goalies use before they step on the ice. You can’t afford to spend the first 4-7 minutes of the game getting into the flow, letting in an early goal will change the entire game – how you play, how your teammates play in front of you. You will get access to the third and final program manual: RESILIENCE and another special FREE BONUS ($37 value) walking you through the “Post-Skate Restorative Strategy” that helps goalies re-balance their body and mentally regroup after practices and games. The best way to prepare for your next game or practice is to initiate recovery from this one. 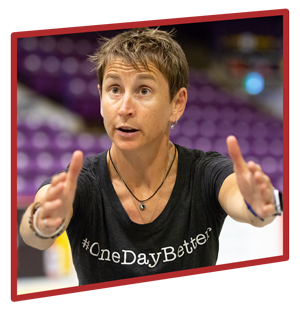 What you do is forcefully asymmetrical and you don’t want to leave the rink a twisted mess, so I am giving you a 10-minute post-skate restorative progression to realign your body and help your nervous system recover as quickly as possible. Right now you can get the entire 6-week Strategic Mobility program PLUS the two FREE Bonuses (total value $171) for only $67 USD (plus applicable regional taxes). He always thought he just wasn’t flexible. He thought he was born with stiff hips that left him with barely any butterfly at all. He did them “pretty regularly” – – which means ‘not regularly at all’ – – and never saw any benefit. Once he got working on the right mobility exercises on a consistent basis and working through the three pillars of Restore, Rewire and Resilience – – his hips started opening up and not only THAT… he didn’t feel stiff and creaky like an old man the morning after his games even though he made some amazing pad saves. He said that before he started the program he felt like the Tin Man from the Wizard of Oz, but after only the first 3-weeks he felt as though some one had ‘lubed up his hip joints with grease’… I guess that is pretty good isn’t it? A hockey puck is only 3 inches across right? 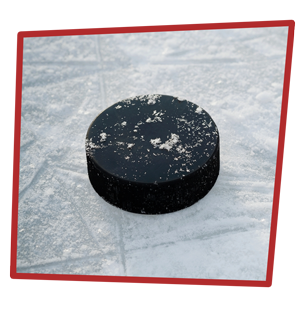 Can you think of a time when the puck snuck past your toe and into the net even though you were in your butterfly? How many times has that happened over the past few seasons? Now imagine even a tiny improvement of 1.5 inches in your butterfly flare (that is so tiny, most goalies get that in the first week). See how that tiny improvement is enough to keep that puck out of your net. If you subtract those 8-12 goals that snuck into the net like that last season from your SV%, that would be a pretty nice bump wouldn’t it? Even if it just saved you from that late goal that cost your team the Regional Championship title and a trip to Nationals. You could have held your team in and even been the overtime hero. Let’s re-write that script for this season. 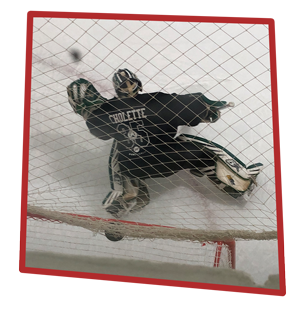 Strength, speed, stamina, stability… they are all key ingredients for an elite goalie (or aspiring elite goalie), but without proper, goalie specific mobility, you will NEVER achieve your potential. The methods goalies have traditionally used to improve their ‘flexibility’ can do more harm than good and they certainly don’t maximize your results on the ice. The biggest changes in my off-ice training philosophy over the last two years have revolved around maximizing mobility. Goalies are starting to get it. They are seeing the methods on my YouTube Channel, Facebook Page and website. They are using them and they are seeing results. They are performing better on the ice and stopping more pucks. They are going to steal your job if you aren’t careful. Can you succeed without this program? Maybe. We all know of “outliers”. They are the ones who eat McDonalds, stay up late playing video games, goof off in practice… and tear it up in games! They frustrate you like crazy because here you are trying to do the right things and this guy who does everything wrong still puts up better numbers. Maybe you are one of those Unicorns who can do anything you want and still be a great goalie. You certainly could try to unlock the secrets yourself… but how long will that take and you do you have that time to waste. It might seem like common sense, if you want to be more flexible, then stretch more… but there is way more to it than that. Remember, I studied this stuff at the University level for a Bachelors and a Master’s degree; that’s 6 years of university. AND THEN I have spent the last 23+ years as a trainer/strength coach and 10 years of that focussing on helping goalies reach their potential. That is thousands of hours in the gym working with athletes, studying research articles, developing new strategies, testing them out, keeping what works and moving on. It is also over $100,000 traveling to learn from leaders on the cutting edge including Thomas Myers, Dr. Andreo Spina, the Postural Restoration Institute, the ELDOA method and more… they are all in here. So yes, maybe you will stumble on to something that works pretty well or maybe you are a Unicorn! Even if you are a Unicorn who doesn’t need to do anything to be one of the best goalies in your league; do you ever wonder just how good you could be if you tried just a little? What could be easier than starting with your mobility right? How long will it take for my program to come in the mail? Actually the program is entirely downloadable, so you can start today. I don’t send out hard copies, I don’t even own a hard copy. This cuts down customer support when shipments get lost en route, production and shipping costs (which add a minimum of $30 to the program) and on materials that have an environmental cost. Will I be able to do the splits? Maybe yes, maybe no. Not everyone has the hip structure that let’s them do the splits, so most of you (even if you do all the right things) will NEVER be able to do the splits. The focus of this program is not to get you to do the splits either. You will be able to get deeper into your splits, but if you are playing positionally strong hockey, you should not be using the splits as a save selection on a regular basis, so I have designed this program to help with your butterfly flare, RVH, 1/2 butterfly pushes, VH, t-pushes and even shuffles. I heard stretching was bad for your muscles and makes you slower. Is that true? No, not at all. If you are doing the wrong type of stretching (like trying to force your stretches), then that can have a negative effect and even increase your risk of injury, but if you are doing the right type of stretches for your position, then you will benefit. And no, stretching does not make you slower PERIOD. I have a Samsung Galaxy Android phone, will I be able to use the program? I don’t know about every single different phone on the market, but if your mobile device can open a PDF, then you are good to go. I am so busy, how long will it take? The training modules will take on average 20-minutes to complete and I suggest doing them five days per week. Okay – I am ready to get STRATEGIC about my Mobility! Still not convinced or have questions? 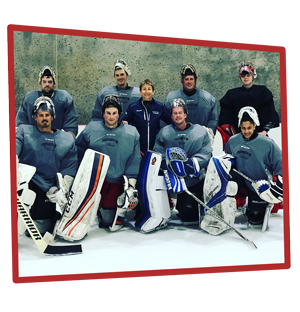 Please send us an email at help@goalietrainingpro.com to have a chat with our team.